Quasar’s Cloud services will free up the time a small business spends managing their IT operations and allow them to do what they do best, manage their business! Quasar Data Center has developed a new set of Cloud services for small business designed to solve their IT problems and network challenges. Most small businesses do not have a large or experienced IT staff to manage their network and in most cases have to rely on expensive consultants who are unreliable or difficult to reach particularly when there is a problem. Many small business owners find themselves in a helpless situation when faced with chronic IT problems that never seem to get resolved; loss of network connection or slow performance; extensive licensing fees and refresh cycle cost; or data security issues. As the number of network problems increase, so does the expense and frustration particularly as it impacts customers and profitability. Quasar’s new small business Cloud services included the latest Microsoft products, business applications, backup, security and support demanded by today’s competitive and sophisticated business community. According to General Manager Casey Jones, “Quasar’s Cloud services will free up the time a small business spends managing their IT operations and allow them to do what they do best, manage their business!” Quasar Cloud services establish a new benchmark in network management Service Level Agreements (SLA) with 24/7 customer support from experienced and certified technicians. Quasar plans to showcase the new small business Cloud services at the Small Business Expo in Houston, Texas, on February 4, 2016. Representatives will be available to demonstrate the Cloud capabilities and explain how to improve your business application performance and access by leveraging a modern cloud infrastructure. With Quasar, small business no longer has to worry about surprise expenditures. The need for expensive refresh cycles, annual licensing fees and hardware purchases is removed as is the need to maintain depreciating IT assets. The fixed-price structure eliminates expensive IT consultants or unreliable technicians. This enables a small business to reduce or re-purpose their existing IT Staff or free up those resources to concentrate on revenue producing initiatives. Quasar Data Center is a full-service, carrier neutral data center located in downtown Houston, Texas. Quasar offers a wide range of 24/7/365 services including cloud services, colocation, business continuity and disaster recovery, data back-up and storage, managed IT services, high performance computing and cyber-security. 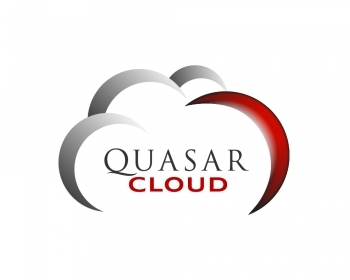 Quasar has proven itself as a reliable, hardened data center and cloud provider.